As per Lily’s request, I will illustrate in detail how to import your fonts into Over. Like the app’s official guide briefly explains, there are different methods that you can adopt to import your fonts into Over. We’ll list three, hoping you will find at least one of them of some use. This is mainly for those who are already Dropbox users. However, since the basic Dropbox subscription (2GB) is free, even if you are not a user yet, you can create an account just for this purpose. This is by the way my favorite method. It’s very practical and it will save you lots of time. 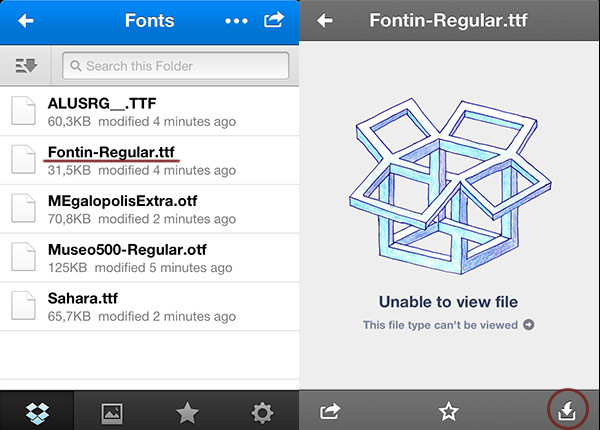 After downloading and installing Dropbox on your computer, create a sub-folder inside the main Dropbox folder and rename it something you will remember, like “Fonts” (originality is not our priority here). Copy into the newly created folder the font files you want to import. After that, download the Dropbox app from the App Store and launch it. Log into your account and browse your folders until you find the “Fonts” one. Tap on the desired font from your inventory and then on the download icon on the bottom bar in the following screen (it’s the last one). Don’t bother if the preview is not working, this won’t affect your font installation. Select Over from the list of apps. The app will launch and the font will now be available in-app. 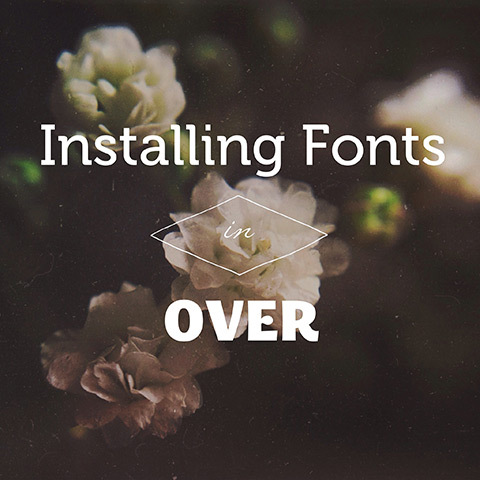 There are a number of sites that will let you download fonts to use in your projects. Unless you want to purchase a license for the fonts, you can go the freeware route. Some places to look are Font Squirrel, DaFont, The League Of Movable Type, Acid Fonts, FontSpace. Even MyFonts has many fonts in its free section. However, make sure to read the license if you are planning to use the font in commercial works: many of the typefaces will be available only for personal projects. If the font is zipped (the majority of them are), you will need to install WinZip for mobile (explained later in the article) to decompress the file directly on your device. 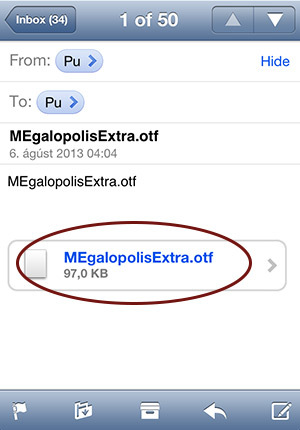 If the font is not in archive format, you will be able to download it by tapping on the download link and open it directly in Over. You will find the “Open in Over” button on the top bar of the font’s page in your browser! This is the poor man’s method. Not because the others were costing you anything (all the methods described are free), but because you won’t have to dowload and install any additional app for it to work. You just have to go to the fonts folder in your computer and select the font you want; after that, you just send the file to your own e-mail address, open the e-mail’s attachment from your device, select Over from the app’s list and you’re done. Achtung! Before you choose any of the above methods, you must make sure that your font files are in TrueType or OpenType format. 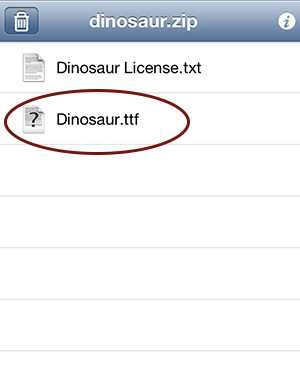 The file extension should be either .ttf or .otf for it to work. Since for practical reasons many fonts are distributed in .zip or .rar archives, you will need to decompress them using a program like Winzip (also available for iPhone and iPad) before importing them into the app. Dowload WinZip from the App Store. 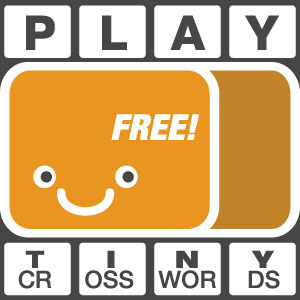 In your device, tap on the font’s name and then the “Open In” button. Select WinZip from the app’s list: this will launch the app. By tapping on the file’s name and then on the “Open In” button again in the top bar of the following screen, you will be able to select Over. Note: At the moment Over does not support uninstalling fonts. 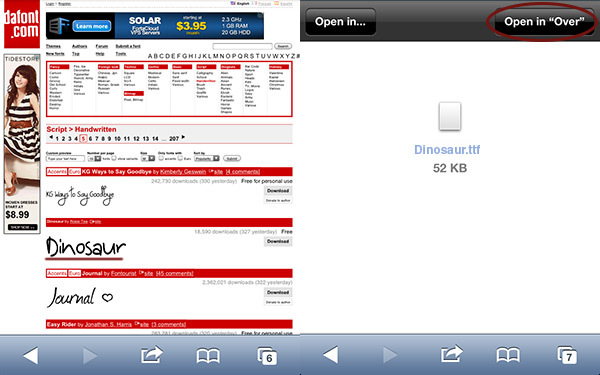 You can go ahead and install all the fonts you like, but keep in mind that too many fonts will slow your device down. A good compromise is to just pick some of the fonts you are likely to use more often instead of a million different typefaces you will perhaps use just once. A number of up to 30-35 fonts is OK, but more could be problematic. If you want to get rid of your own installed fonts, you will have to delete and re-install the app. Note: For the most part, the same methods work also with other caption on photos apps like the free Phonto. Best tutorial on this topic; way more helpful than Over’s perfunctory 2 para help page. Yeah, I thought perhaps the guide was OK for people who already had a clue, but not for people who have never tried moving files from a device to the other, decompressing on mobile, etc.